Tiny houses are the latest craze to hit the housing market. Tiny House Construction Estimator will help anyone estimate and cost of building a tiny house. 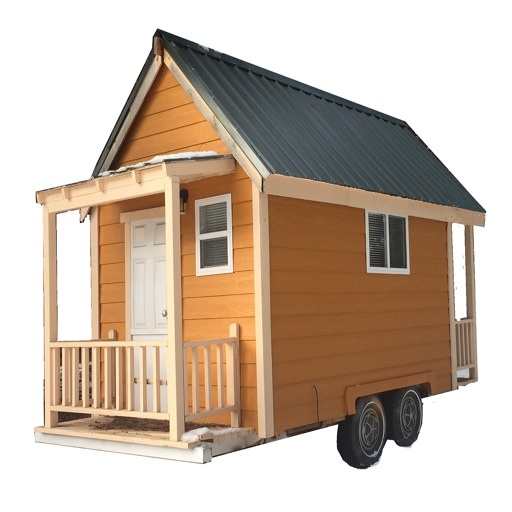 With some basic knowledge of construction you will be able to get the quantities of materials that you need to build a tiny house. This app helps you identify the different areas of a tiny house that you might not know or remember. 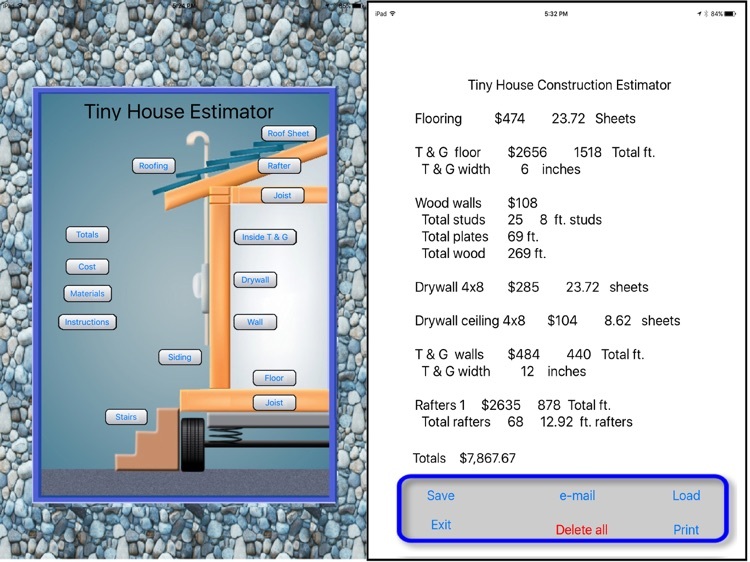 This version of Tiny House Construction Estimator is made for all Ipads. 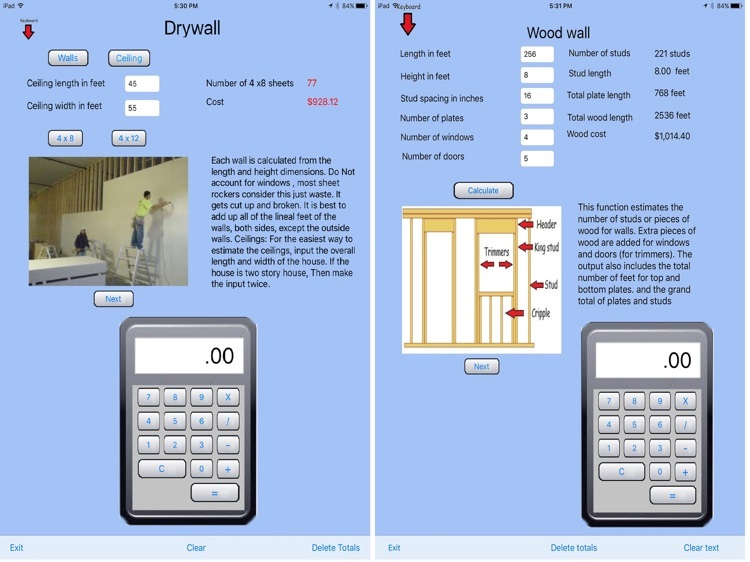 This is an easy to use estimating program to help a contractor or home owner estimate materials and cost of a project. The main menu of shows 11 functions to choose from. 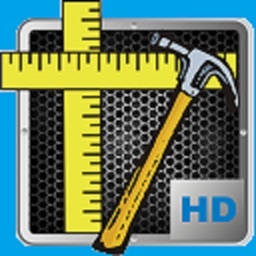 Tiny House Construction Estimator does not have a set beginning point, you can start with any function. Each function has inputs that relate to the area to be calculated. After inputting the measurements press the calculate button. 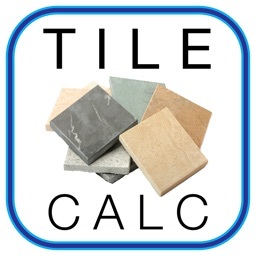 This will calculate and display the cost and the materials. These totals are remembered and saved in memory. Totals are also displayed in the totals form. After completing a function you can press the EXIT button. 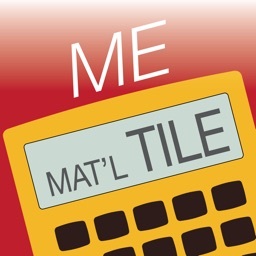 This will return you to the main menu..
Of course, the degree of your estimates accuracy depends on a number of factors. A small project, such as an addition, will likely produce a very close estimate. 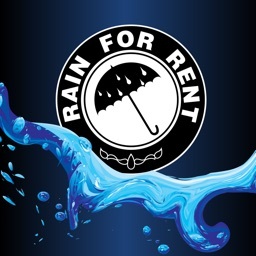 A bigger project, such as an entire home, may incur unexpected costs (such as more joists for support) and unforeseen difficulties (such as hard soil or bad weather). Careful input, along with experience that gives foresight, will yield a more accurate estimate. 1. 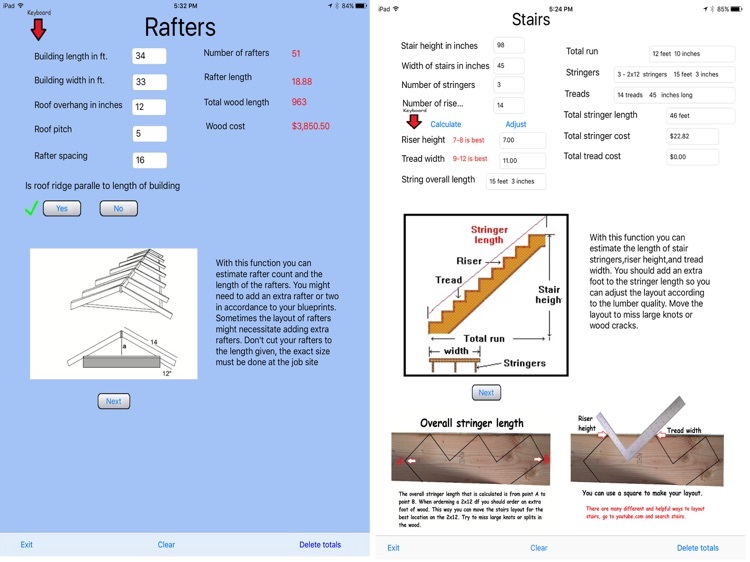 Cut wood to your specific measurements, not to the lengths estimated by this program. 2. Use your own judgment to add to extra materials as needed. It's better to have some left over than to run out in the middle of a project. 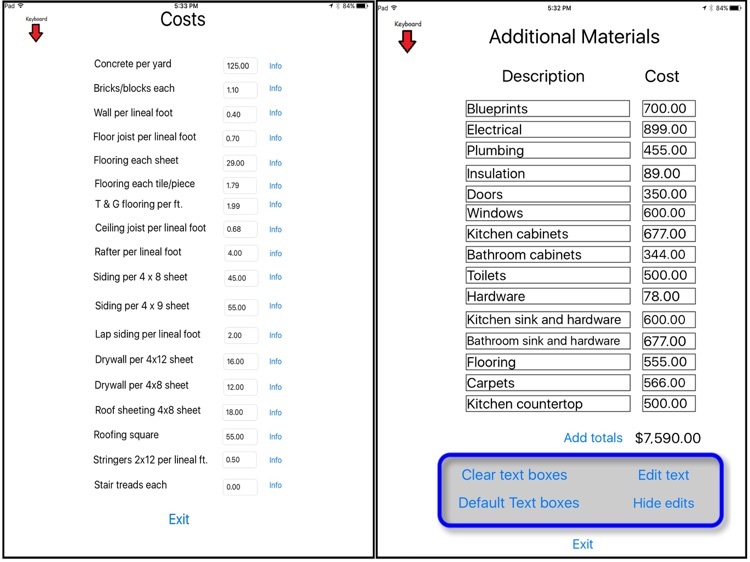 Estimator also includes a built in calculator. Fill in the current costs For your area And press the SAVE button. This will save the cost file. It will be loaded automatically each time the Estimate program is loaded. 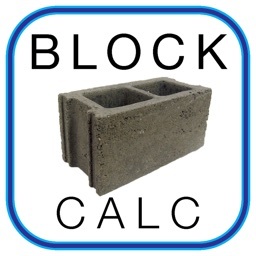 sent you must reload construction estimator.